Graham at The Masters 2014, Augusta. Graham is the envy of us all having been invited over to coach England Amateur Golfer Garrick Porteous. Better still, James was invited along too! 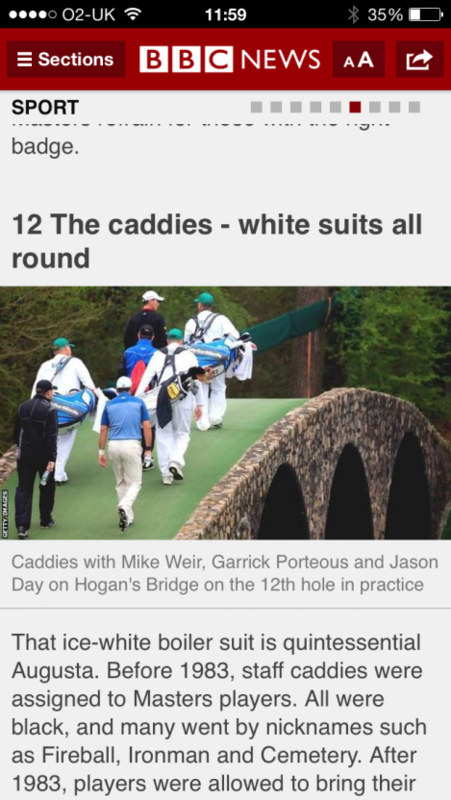 Spot Graham walking over the bridge with Garrick and the Augusta Caddies in their unique white boiler suits!